The old Jarl has died and his once prosperous port has fallen into a state of catastrophe. 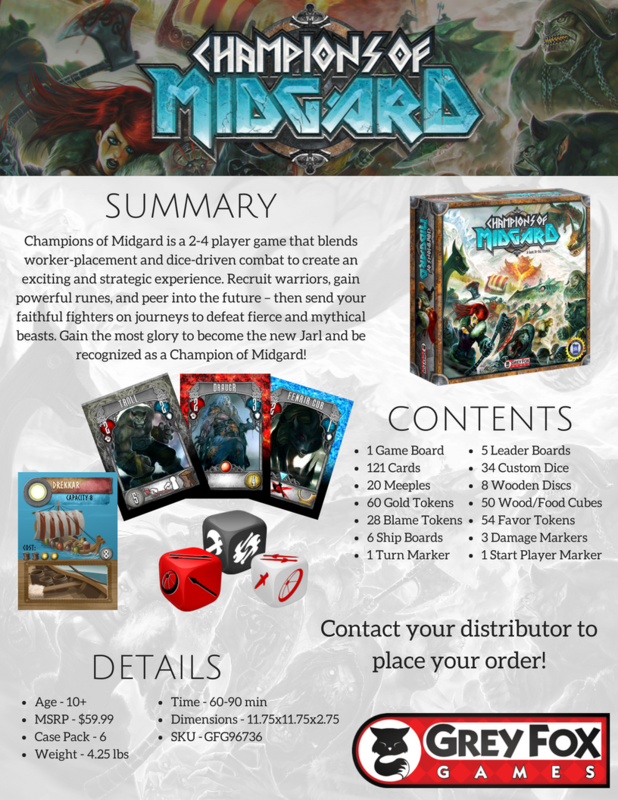 Fearsome creatures are coming in droves, driving chaos and destruction before them. Trolls attack the town, Draugr terrorize nearby villages, Monsters strike at travelers and merchants alike. The people are suffering and you could be their champion. 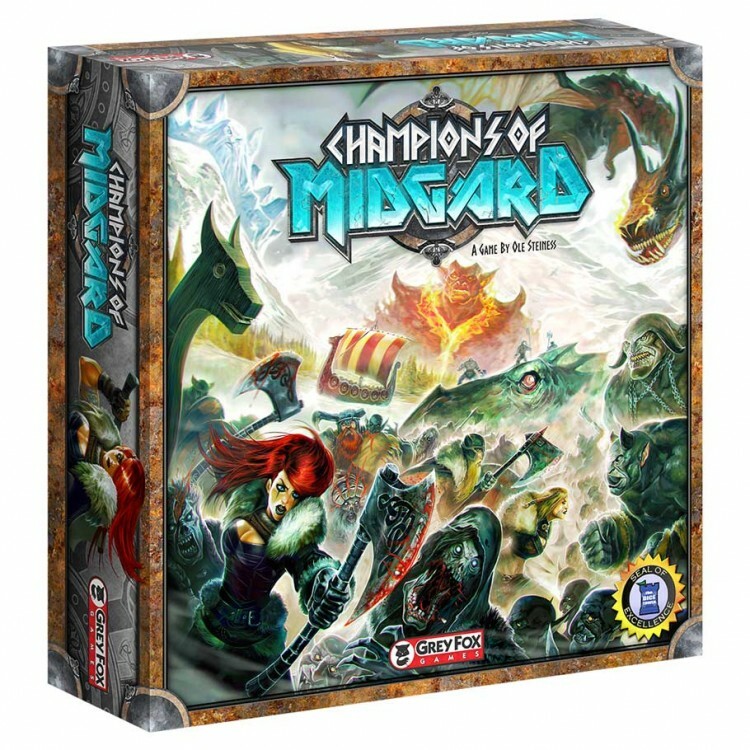 Champions of Midgard blends worker-placement and dice-driven comabt to create an exciting and strategic experience! Recuit warriors, gain powerful runes, and peer into the future - then send your faithful fighters on journeys to defeat fierce and mythical beasts. Gain the most glory to become the new Jarl and be recognized as the Champion of Midgard!